Posted by Ced in Info, Online, Services. Nesting.com (beta) is an online community where parents (Moms particularly) can organize and connect aspects of their family’s daily life. The free service is similar in concept with Pageflakes and iGoogle. URL-info.appspot.com is an online tool that lets you get the data from header files produced by the web servers. Page – HTTP status, URL scheme specifier, web analytics, etc. 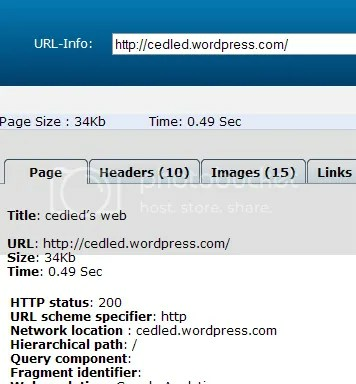 HTTP Headers – Last modified, cache control, server, pingback, etc. And you also are provided with a Flash analog clock (upper right hand side). A nice bonus while you read the info about your chosen address. Posted by Ced in .Subscribe, Bookmarks, Email, Info, Music, Online, Search, Services. MySurfPad.com is an online startup page that features tabbed categorization. Worth checking out if you like making use of configurable online startup pages.